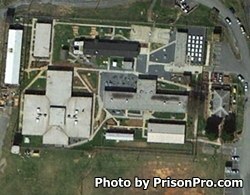 Randolph Correctional Center is located in Asheboro North Carolina. It is a minimum security prison that houses 226 adult males. Inmates are housed in open dormitories. This facility is also responsible for a 100 bed Long Term Care unit that houses inmates who suffer from medical problems and cannot be housed with the general population. Offenders can receive adult basic education and obtain their GED while incarcerated. Randolph Correctional Center allows inmates to work within the prison in maintenance, in the library, barbering, in laundry, and in food preparation and serving. Visiting at Randolph Correctional Center is based on the first letter of the inmate's last name. Visiting occurs on Saturdays and Sundays from 1pm-3pm and rotates every three months. Contact the facility for the current rotation.